"This landscape design for this hillside Mediterranean-style home in Silverleaf prioritizes the dramatic views, which are available regardless of where you stand within the garden. Each feature is aligned, even in the interior courtyards with water features and clipped hedges. 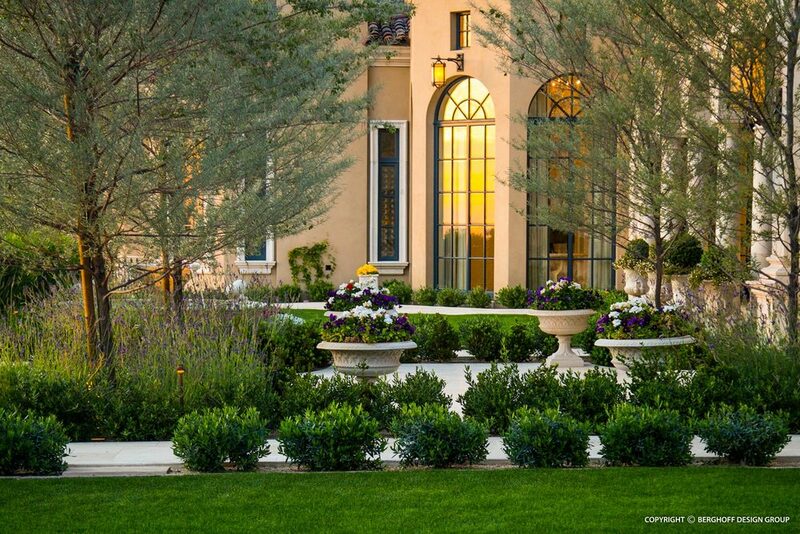 Crisp and symmetrical styling is found in the topiaries that line the colonnade and the formal flower plantings. The lap pool features an infinity edge that spills over into a water element, wrapping the home. The dark tone of the pool mirrors the setting sun, while one of the more notable features is the fire pit enveloped by the water element."